What are philosophical practitioners? How precisely are philosophical and psychological counseling related? Are they the same thing? Different? Do they utilize the same techniques or serve the same purposes? Following is an article on philosophical practice that appeared in Psychology Now in March 2019 and the NPCA’s position on these and related questions. 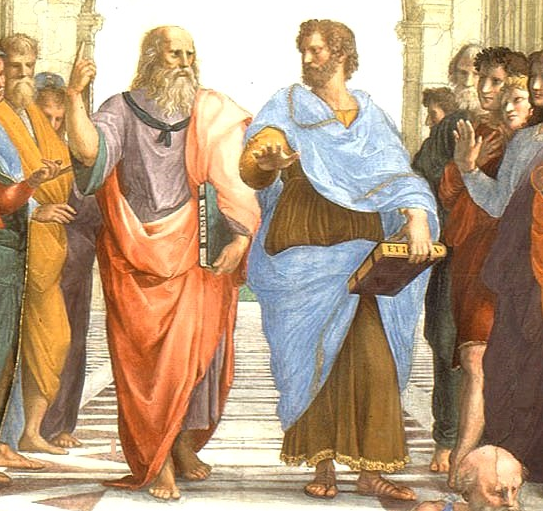 The NPCA recognizes two kinds of philosophical practitioners in the field of philosophical counseling: (1) philosophical counselors and (2) philosophical consultants. For details on the distinction and scope of practice, visit our practice areas/boundaries page. What is the difference between philosophical counseling and psychological counseling? Psychologists are social scientists and are, therefore, interested in causal explanations. As such, psychological counseling tends to view mental processes in causal terms. Clinical psychologists (and other licensed mental health practitioners) use this body of knowledge and theories about the underlying causes of mental processes to help their clients manage their psychological problems (e.g., mood disorders, anxiety, psychoses, etc.). In contrast, philosophical counseling applies training in philosophy (theories and philosophical ways of thinking) to human problems of living. They, therefore, tend to view mental processes in terms of epistemic justification, that is, the justification of beliefs or claims to know. For example, a philosophical counselor may help a counselee with a relationship problem apply standards of logic and critical thinking to correct fallacious reasoning. As such, the philosophical counselor specializes in the examination and analysis of arguments rather than in looking for the underlying causal etiology of dysfunctional mental processes. Philosophical counselors focus primarily on epistemic justification while psychological counselors focus primarily on applying empirical science. Consequently, psychological counseling utilizes diagnostic criteria for assessing cognitive-behavioral-emotive dysfunctions—as defined by the latest iteration of the American Psychiatric Association’s Diagnostic and Statistical Manual. Philosophical counselors may sometimes also use assessment criteria but these criteria are related to the assessment of reasoning, for example, fallacies in counselees’ reasoning, which may be at the root of their problems of living. For example, a counselee may be experiencing stress over making a decision because she is constructing a false dilemma (“Damned if I do and damned if I don’t”), instead of engaging in proactive reasoning. Do philosophical and psychological counseling have their own distinct techniques for helping? Yes, but there is also significant overlap. Some techniques used by psychologists to help clients feel and do better can be helpful to philosophical counselors, and conversely. For example, some psychologists give behavioral assignments and use bibliotherapy (reading assignments) to help their clients. Similarly, a philosophical counselor might give his or her counselee a “homework assignment.” For example, Jean-Paul Sartre says essentially that one defines oneself through one’s actions. A philosophical counselor might accordingly ask a counselee to apply Sartre to his or her situation by making a decision and acting on it in order to overcome social inertia. Similarly, Person-Centered Therapy emphasizes the importance of the counselor-client relationship as a vehicle of constructive change, especially the development of empathetic understanding, congruence (transparency), and unconditional positive regard (unconditionally accepting the doer although not necessarily the deed). Along with other helping professionals, philosophical counselors can benefit from incorporating such person-centered attributes into their philosophical practices in order to encourage counselees’ cultivation of autonomy and trust. Conversely, psychological counselors have borrowed philosophical ideas from philosophers. For example, Rational-Emotive Behavior Therapy, the earliest form of cognitive-behavior therapy, has made Stoic philosophy a cornerstone of its approach to helping. Existential Therapy has incorporated the insights of such existential philosophers as Buber, Sartre, Nietzsche, and Heidegger into the corpus of their practices. There is, as such, a vast trove of valuable tools that can be gleaned from both philosophical and psychological counseling. This is what the NPCA means by saying that these fields are complementary and that any attempt to bifurcate philosophical from psychological counseling is misguided. Can philosophical counseling serve as a substitute for psychological counseling? Philosophical counseling uses philosophy, its theories and ways of critical thinking, to help counselees address ordinary problems of living. Such problems include midlife crises, loss, career changes, moral problems, work-related stress, and a host of other common, human, life challenges. Often, these problems can be addressed philosophically by helping the counselee to examine and reassess his or her reasoning about such matters. Psychological counseling can also address such problems using its extensive body of psychological knowledge and theories. However, there are other human problems for which philosophical counseling would not be indicated, and are the primary domain of psychological counseling. For example, those who have cognitive disorders (psychoses) or mood disorders (e.g., bipolar disorder, or major depression) may require medication and/or the causal approach used in psychological counseling. While people with such disorders can possibly benefit from philosophical counseling after or concomitant with psychological counseling, it cannot serve as an alternative or substitute for psychological counseling in such cases. It is therefore important that philosophical counselors develop support and referral networks with psychological counselors as a part of their practices. Since some psychological counseling approaches such as Cognitive Behavior Therapy (CBT) address irrational thinking errors, does that mean there is no difference between these approaches and those of philosophical counseling? Approaches such as CBT examine irrational thinking within the context of a scientific body of knowledge/theory that looks for the underlying causal etiology of dysfunctional ideas. For example, Rational Emotive Behavior Therapy (REBT), a form of CBT, holds that certain irrational beliefs about events in the world cause people to behave and emote in certain self-defeating ways; and, it further holds that, by changing these irrational beliefs to rational ones, these “behavioral and emotional consequences” can also be changed. In contrast, philosophical counseling approaches focus on epistemic justification of counselees’ arguments, not underlying causal mechanisms. For example, the philosophical counseling approach of Logic-Based Therapy (LBT) helps counselees find fallacious premises in the practical reasoning from which they deduce self-defeating conclusions. Thus, instead of looking for the causal etiology of dysfunctional behavioral and emotional consequences, it focuses on the epistemic justification of beliefs. As such, it takes a humanities perspective, not a social science one. The same may also be said of other philosophical counseling approaches. These approaches characteristically look at the epistemic justification (or lack thereof) of beliefs, not their underlying causal relationships. They are therefore akin to a Socratic dialogic investigation as distinct from a scientific investigation into the causes and effects of mental processes. Moreover, since philosophers are trained expressly in the analysis and dissection of logical arguments, they are appropriately trained to engage in such epistemic aspects of philosophical counseling. Do psychological counselors also engage in Socratic dialogic investigations with their clients or look into the epistemic justification of their beliefs? Clearly, some psychological counselors engage in such philosophical activities with their clients; and, to the extent that they do, they are engaging in philosophical counseling according to the NPCA’s understanding. Indeed, the NPCA strongly encourages and invites such participation by psychological counselors as part of its mission of working cooperatively with psychological counselors. To this purpose, it offers training programs, such as its certificate training program in LBT, open to individuals with a Masters Degree and/or Doctorate in a mental health area, and in Logic-Based Consultation (LBC), open to those with a Masters or Doctorate in philosophy. In this March 2019 article in Psychology Now, Dr. Cohen discusses the nature of philosophical counseling and consultation offered by the National Philosophical Counseling Association. Learn more here! Interested in learning more about what philosophical practitioners do and the relationship between philosophical and psychological counseling click here! In this November 2018 article in Trauma Psychology News, the work of Dr. Elliot D. Cohen is reviewed and Logic-Based Therapy's promise of helping people with PTSD explored. Read more here! To pay or renew your NPCA membership dues, please click the button below. Dues are $35 (plus a $1.50 PayPal transaction fee). To contact a philosophical practitioner in your area visit our philosophical practitioner directory. To donate to the NPCA, please click the button below. Please note that a PayPal processing fee of up to 4.8% will be charged to NPCA for all donations received. For more information about certification, visit the Logic-Based Therapy & Consultation Institute. The National Philosophical Counseling Association and the Logic-Based Therapy & Consultation Institute are proud to announce the founding of the Taiwan Logic-Based Therapy Institute. Also visit the Eastern-European Center for Logic-Based Therapy.